Nobody wants to read an article that is a sea of words. Remember that online readers are skimmers. Besides, humans are visual by nature. So adding appropriate images is a must to get people to read your content. But you don’t want to pay for those images when the budget is tight, right? Well, the good news is you don’t have to as I am going to show you right here how to get free images for a website. I will also share some important factors you need to beware of when you use those free images in your content. These are the places you can go to get free images for a website. Some of these free images are unbelievably stunning. I feel that it is so generous of the creators to share their wonderful works with us free of charge on the Internet. For instance, I found the photo of the beautiful green leaf in this post at Unsplash. They clearly stated at the Unsplash website that all the photos are completely free to use or modify as we like, so I added the text “Free Images for a Website” to the image and used it as a featured image for this article. At other websites, however, images may be free to download but they have some conditions attached for you to use them. These conditions are stated on the website, so keep this in mind and always check whether or not there are any specific restrictions for the image. Especially be mindful of Copyrights and Attributions that I discuss below. Make sure that the creator of the image is allowing the use of it copyright free. This is something you have to be careful of particularly when you are making a change to the image. Depending on the condition attached, you might not have the right to use the changed image. Many creators do not mind other people using their images, but they don’t want them used for commercial purposes. As long as you are not making money off of the image, such as printing them onto the products you are selling, then you are ok. Some creators require you to credit the source of the image. Below you see an attribution request attached to an image I found at Wikimedia Commons. Like this, they usually mention how they want to be attributed. For instance, they may ask you to include a text link or a link from the image. Others may require you to include a button within your content/website linked to the source. If you find an attribution request for an image, be sure to follow the instruction. Creative Commons Search (CC Search) could be a useful site for you to find an image worry-free as it is a search engine with a filtering system. It allows you to filter online resources, including images of course, through specific license combinations you want. Taking a screenshot is another way to get an image you want at no cost. It is exactly what I did with the website image of CC Search above. If you don’t know how to take a screenshot, here is how. You possess all the rights to all the pics you take. Copyright applies as soon as the original image is created, in other words, at the moment you click the shutter on the camera or hit the button on the iPhone or iPad. . 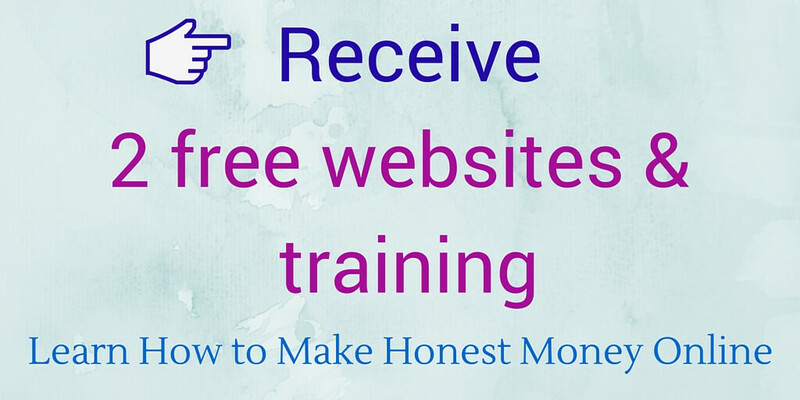 They are 100% safe to do whatever you want within your website, so be sure to make use of it! They are 100% safe to do whatever you want within your website, so be sure to make use of it! This is the picture I took for a blog post about the keyword tool I use and recommend. 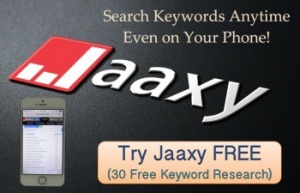 I wanted to show my readers what the tool looks like on my iPhone as it is an online tool and I can actually do keyword research on my phone when I am outside away from my PC. Like this, sometimes an actual photo conveys the exact meaning you wanted to convey rather than hundreds of words describing it. You may not be able to create stunning images like professional photographers do but don’t underestimate the power of real photos. For instance, this is a banner I have created for a blog post. I found this free image at Unsplash.com and added texts by using Canva. 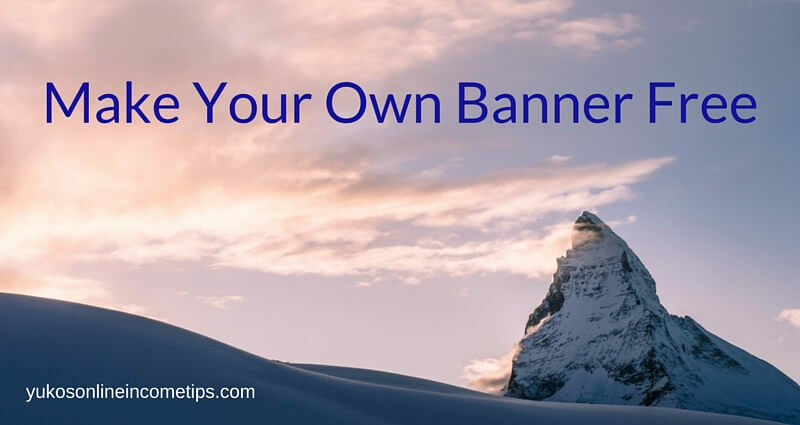 I walk you through how to make your own banner free like this in this blog, so check it out. You’ll be pleasantly surprised how easy it is. Let’s not forget about visual-oriented social medias like Instagram and Pinterest! Your visitors cannot share your article on Pinterest if you do not have any images in it! Pinterest is a fast-growing social media that you cannot ignore for your online success. Just like Facebook or Twitter, be sure to make your posts Pinterest-friendly by adding images. Also for other social medias such as Facebook and Twitter, bear in mind that your posts with an image stand out way more than the ones with text only. I can speak this from my experience as my tweets with images received way more clicks than the ones without. Good-looking graphics sure help you broadcast new posts as well as build branding of your website via social medias. If you know any other good sources for free images for a website, do leave comments below and share with us! 16 Comments on "How to Get Free Images for a Website"
Thanks for this list of free image resources, it’s just what I need. I run a website myself and sick and tired of using the same poor quality pictures in my content so I decided to used a paid image service called Fotolia, you might of heard of it? Anyway, although they are better quality, I keep seeing the same images all over the internet. I want my site to stand out not just blend in. I recently discovered a website called Canva where you can all kinds of cool stuff with images.This is the reason I was looking for some free images that I can upload into Canva and make my own. I’ve heard of Fotolia and also heard that it’s quite pricey. Do you feel it’s worth the money? I didn’t know about Canva, so signed up just to see how it’s like. It’s very cool that we can add our own personal touch to images. I will look into the website more and play with the features they offer. Thanks for sharing this useful info with us! Thank you for writing this article…I found it a very interesting read as I have heard of wikicommons and pixabay but I wasn’t aware of the other sources you reference to get free images. Another site I like is tinypng com for shrinking the file size on larger images for faster load times. I looked into TinyPNG site and think it is very useful as it is crucial to keep your files light for a faster loading. Thank you so much for sharing about the site with us! this is really a great post about how to get free images for a website. I am a blogger, too, and it can be really hard sometimes to find the right images. Especially in my niche and sometimes I just don’t have enough time to take them myself. I knew some of your sources, but I didn’t know about PhotoPin and StockSnap. I will have a loot at those. The picture you made yourself looks really great. Do you usually make your own pictures, or not that often? Thank you for the kind comment! I am happy that you found some new information on this post. I usually try to make my own image by adding text or alter it an existing one. It could be time consuming though, so I know what you mean by not having enough time to find the right images for your articles. As Lee mentioned in his comment above, Canva seems to be a good place to make your own images. I suggest you to take a look. Once I get used to using it I will add a post about it as well. Thanks for commenting Moritz. Good luck with your website! It’s true that we live in a highly visual society. Just look at the success of Pinterest & Instagram, for example. If you build a website, a “sea of words” as you called it certainly won’t suffice: you need images. Unsplash seems like an awesome option which I’ve never heard of before. My favorite method is just taking screenshots, but it always helps to have some other great sources for images. Thank you. Screenshots are great especially in “how-to” type of article. I love Unsplash too as it is completely worry-free to use and their photos are simply stunning. As Lee suggests in his comment above, Canva is a great tool that helps you to create your own image, and photos from Unsplash are wonderful options for that. As people generally use Pinterest and Instagram on their mobile devices and pictures will appear rather small, I highly recommend you to try making some eye-catching images with Canva, in addition to screenshots, for each of your post. Hello Yuko, Thanks for writing the post! I have just bookmarked your article! This is going to be a great resource for people with no budget for images. I usually use Pixabay and I always need more options for my posts – to make them look fancier, of course. I just realized there are a lot more out there on your post. Thanks for your effort in putting up this list! Thanks for the heads up on the Copyright. I am glad you found the article useful for you 🙂 Images are always the crucial part of a post as it greatly affects the reader experience. You can find great free images at the sites I introduced here. I also began enjoying altering free images I found by using Canva. It does help to make your images more stand out and personal. If you wish to be unique, you may want to give it a try. Hi Yuko and thanks for your blog, ” How To Get Free Images For A Website.” GREAT blog and website. Lots of informative content. Have visited many times and will again to read your many excellent articles. Which “free image” place do you find most useful and which one contains the least “legalese”? Wish you well on this great site and that you can soon free yourself from one college! Thank you for the kind comment. I find unsplash.com most useful and least legalese as it provides great images without worrying about copyrights. I usually enjoy adding a personal touch to great images I find at unsplash.com. I am glad you enjoyed the website. Please let me know if there is anything I can help you with or to better my website. I am open to suggestions. Looking forward to seeing you again on this site! Hi Yuko this was vey helpful ! I love Pixabay, but i did not know the other sites you mentionned. I never check the “commercial purpose” thing, i think i should sometime, so thank you for the advice ! I guess i should create a Pinterest account too, it can be useful for images ! I am glad that this post helped you. 🙂 Another site for great free images I discovered after I published this article is Canva. There, it’s not only that they offer tons of free images but also you have ways to create your own graphics using those images. For example, see those banners on the right sidebar? I created those using Canva 🙂 It was so simple and easy! Thank you! I already use Flickr, Creative Commons and Wikimedia Commons. The other alternatives sound interesting as well. I have bookmarked your post and will go check out the resources you’ve pointed out. The one thing I wonder: is it okay to use photos that forbid “commercial use” on a website that is focused on making money. I mean isn’t the website itself a “commercial use”? Thanks for the comment. I am glad you found the article helpful for you. I believe “commercial use” refers to using images on products you sell or distribute them as a way for you to earn money. Just using them on your blog site shouldn’t be problem as long as you follow the instruction the author of the image asks for. Hope this helps!